Our experienced Berks County Divorce Attorneys offer the expert legal guidance you need. We give you the respect and emotional support you deserve. 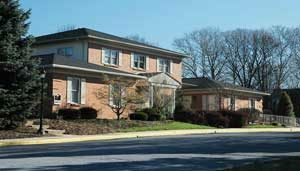 You won’t find better Divorce Attorneys in Reading or Berks County. Let us help you. Call us today. Finally, knowing where to seek competent legal help is difficult. Very importantly, have a broad range of legal expertise. That’s important because divorce can affect things like Estate Planning and Wills that ordinary divorce lawyers might overlook. In contrast, we also understand that some people feel their divorce is so straightforward they don’t need a Divorce Lawyer. They think they can find out everything they need from a self-help book or on the Internet. Well maybe. Read all the information on this page. It’s evident that “maybe” isn’t good enough. Overlooking critical issues now can cost you thousands in the future. Divorce is too serious not to do correctly. You should at least schedule a consultation with us to find out why you do or do not need a lawyer to weigh the risks intelligently. We’ll begin by giving you an idea of Pennsylvania Divorce law. 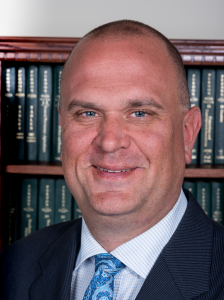 My name is Larry Miller, Jr. I’m an expert Divorce Attorney and the Managing Partner at the Miller Law Group. I’ll discuss the options you have for filing for divorce in Pennsylvania and help you decide which option is best for you. At least one of the parties to the divorce must have been a PA resident for six months before the filing. The plaintiff may bring divorce proceedings in the county where the defendant lives. If the defendant is no longer living in Pennsylvania, the plaintiff may bring proceedings in the county where the plaintiff (the person filing the divorce action ) lives. If the plaintiff continues to reside in the county where he or she lived while married to the defendant, the plaintiff can bring proceedings in that county. Before six months after the final separation, the plaintiff can file for divorce in the county where the plaintiff resides if the defendant agrees. If neither plaintiff nor defendant lives in the county where they resided at the time of the marriage, the plaintiff can file for divorce in the county where either of them now lives. Lastly, Six months after the final separation, proceedings may be brought where either the plaintiff or defendant lives. Now we’ll examine the types of Grounds for Divorce. Divorce laws in PA allow for a no-fault divorce 90 days after filing if both parties have filed affidavits stating they agree to the divorce. Both parties agreeing it is called mutual consent. Both plaintiff and defendant consent that the marriage is irretrievably broken. No-fault filings are the most common type of divorce filing. After we meet the Filing Requirements and Know the Correct Grounds, we’ll need to file the correct documents. The plaintiff must complete and file the appropriate documents to begin the divorce process. Notice to Defend; Claim Rights and Verification Forms (attached to the complaint). File documents at the courthouse in the county where the plaintiff is filing for divorce. The defendant must be served with the filing documents within 30 days following the date documents are filed at the courthouse. 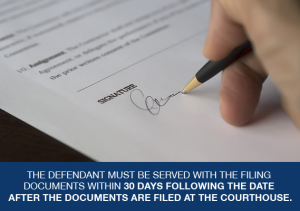 Lastly, the time for serving documents is extended to 90 days if the defendant does not live in Pennsylvania. fault divorce where the life of the injured spouse is intolerable. if they have a child who is younger than 16. The court will provide plaintiff and defendant a list of qualified counselors. Neither the plaintiff or defendant is required to pick a counselor from that list. They may select a counselor of their choice. Your goal should be to make divorces as amicable as possible. There are several alternatives for divorce proceedings with the intention of avoiding costly litigation and debilitating emotional stress. Our Divorce Attorneys are expert in all of the options to divorce shown below. It’s your settlement plan which you feel is fair to both you and your spouse. The role of a Mediator is not to give legal advice. But an experienced Divorce Attorney can provide insight into possible negative ramifications of not coming to an agreement on a particular matter and going to court. Knowledge about consequences can give both spouses the extra incentive they may need to agree on a thorny issue. We know how to listen to both spouses, not dictate to you, and help you negotiate a mutually advantageous agreement that you design. Our attorneys are also competent Business Tax, Bankruptcy, Wills and Trust and Estate Planning Attorneys who understand finance and are good with numbers. We make sure your agreement covers all the bases. We’ll make sure your agreement is set up to endure predictable life changes, so you don’t wind up in court later on. Use Arbitration when Mediation fails. The parties can stipulate before beginning the arbitration that it is either binding or non-binding. PA law binds the arbitrator to specific rules of the Uniform Arbitration Act. The Arbitrator presents his final decision to the parties. the likelihood of potential litigation. or marital assets are complex. Spouses entering into a Collaborative Divorce follow the “Collaborative Divorce Model.” Each signs an agreement to put forth their best effort to resolve issues. Mediation is non-adversarial because a neutral third party represents both spouses. Collaborative Divorces are adversarial because each spouse hires a lawyer. Each lawyer offers legal advice trying to negotiate the best possible settlement for the spouse they represent. All parties meet on a periodic basis until they reach an agreement. The cost of a Collaborative Divorce usually falls between the cost of Mediation and a Litigated Divorce. There is an element of risk. That’s because if the Collaborative Divorce process fails and the divorce goes to litigation the entire process starts over again from scratch with new attorneys. So the total cost of the divorce may be much higher than if it had gone to litigation in the first place. Did you thoroughly research your state’s laws? Did you consider the tax consequences? Is that Internet-based divorce kit you’re looking at legitimate, or is it a scam? Can an online solution ask you critical questions an experienced Divorce Attorney asks in a one-on-one consultation? How is complex marital property like trademarks and patents that require experts resolved? Does the online solution consider other legal issues directly affected by a divorce? The answer to all of these questions is No, or you have no way of knowing. You need or competent, experienced Divorce Attorneys to protect you now and in the future. lastly, discovery proceedings up to $4,000. Home: Keep or sell? Where will you live? Insurance: Life insurance, medical, and other for spouse or children. Taxes: Current or past tax returns, future exemptions. Support payments: Spousal and child support, how much for how long. Children: Living arrangements, decisions about education and healthcare. It impacts your finances and standard of living. Most importantly, divorce can be especially hard for children. Courts can challenge Prenuptial or Postnuptial Agreements in divorce proceedings. Fights arise in court over Alimony, Division of Property, Child Custody or Child Support. Lastly, in the case of infidelity, there may be animosity leading to accusations and demands for additional support. Our Divorce Attorneys have the experience you need to protect you in each of these matters. View divorce as a process toward a resolution rather than an argument. Treating divorce as a process makes an amicable divorce possible. The harsher you are, the more resistance you’ll get when trying to reach an agreement. Obviously, you need our proven, experienced Divorce Attorneys. take pride in treating your problems with as much concern as they would treat their own. Finally, negotiations with your partner’s attorney to eliminate some of the pressure on you and keep things as civil as possible. have expertise in other legal areas affected by Divorce including Wills, Estate Planning, and Bankruptcy. finally, to cooperate with your ex-spouse in non-legal matters such as parenting. We’ll help you too. We’re the legal expertise and emotional support you need. Choose us to represent you. 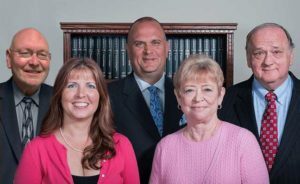 You won’t find more proven, experienced and family-oriented divorce lawyers near Reading, Berks County or anywhere else in Pennsylvania. If your relationship is coming to a close and you’d like to speak with our Divorce Attorneys, Contact Us Online or Call Us at 610-670-9000 for a consultation.